We Americans commemorate the birthday of one of the outstanding citizens of the 20th century, Rev. Dr. Martin Luther King, Jr. Many years ago, I was pleased to be one of the original sponsors of the legislation making his birthday a national holiday, and I urged all Americans to commemorate January 15 with appropriate ceremonies, sharing Dr. King’s message, vision, and legacy. 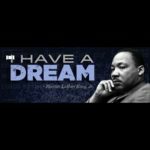 We should all avail ourselves of this opportunity to once again honor the legacy of the Reverend Dr. Martin Luther King, Jr. more than thirty years since his life was senselessly snuffed out by an assassin in Memphis, Tennessee. It is more important than ever that all Americans, especially our young people, are reminded of his significant contributions and his message. Regrettably, many Americans view Martin Luther King Day as a holiday just for African Americans. Rev. 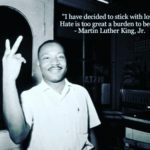 King would have been the first person to repudiate that attitude, for his message was for ALL people, of all races, creeds, colors and backgrounds. His message of equality in both government and economic opportunity is universal and should be heeded by all citizens of America and, in fact, all citizens of the world. 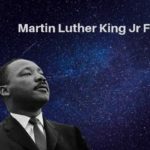 Dr. King contributed more to the causes of national freedom and equality than any other individual of the 20th century. His achievements as an author and as a minister were surpassed only by his leadership, which transformed a torn people into a beacon of strength and solidarity, and united a divided nation under a common creed of brotherhood and mutual prosperity. It was Dr. King’s policy of nonviolent protest which served to open the eyes of our nation to the horrors of discrimination and police brutality. This policy revealed the discriminatory Jim Crow laws of the South as hypocritical and unfair, and forced civil rights issues into the national dialectic. 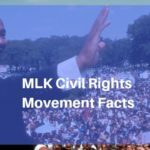 It is due to the increased scope and salience of the national civil rights discussion that the movement achieved so much during its decade of our greatest accomplishment, from 1957 to 1968. It was in 1955 that Dr. King made his first mark on our nation, when he organized the black community of Montgomery, Alabama during a 382-day boycott of the city’s bus lines. The boycott saw Dr. King and many other civil rights activists incarcerated in prison as “agitators,”but their efforts were rewarded in 1956, when the U.S. Supreme Court declared that the segregational practices of the Alabama bus system were unconstitutional, and demanded that blacks be allowed to ride with equal and indistinguishable rights. The result proved the theory of nonviolent protest in practice, and roused our nation to the possibilities to be found through peace and perseverance. In 1963, Dr. King and his followers faced their most ferocious test, when they set a massive civil rights protest in motion in Birmingham, Alabama. The protest was met with brute force by the local police, and many innocent men and women were injured through the violent response. However, the strength of the police department worked against the forces of discrimination in the nation, as many Americans came to sympathize with the plight of the blacks through the sight of their irrational and inhumane treatment. 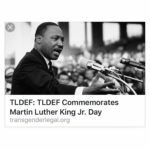 By August of 1963 the civil rights movement had achieved epic proportions, and it was in a triumphant and universal air that Dr. King gave his memorable “I Have a Dream” speech on the steps of the Lincoln Memorial. In the following year, Dr. King was distinguished as Time magazine’s “Man of the Year“ for 1963, and subsequently, in 1964, he was awarded the Nobel Peace Prize. Throughout his remaining years, Dr. King continued to lead our nation towards increased peace and unity. He spoke out against the Vietnam War, and led our nation’s War on Poverty. To Dr. King, the international situation was inextricably linked to the domestic, and thus it was only through increased peace and prosperity at home that tranquility would be ensured abroad. When Dr. King was gunned down in 1968 he had already established himself as a national hero and pioneer. As the years passed his message continued to gather strength and direction, and it is only in the light of his multi-generational influence that the true effects of his ideas can be measured. Dr. King was a man who lacked neither vision nor the means and courage to express it. His image of a strong and united nation overcoming the obstacles of poverty and inequality continues to provide us with an ideal picture of the “United” states which still fills the hearts of Americans with feelings of brotherhood and a common purpose for years to come. Accordingly, Mr. Speaker, I urge my colleagues to bear in mind the courageous, dedicated deeds of Rev. 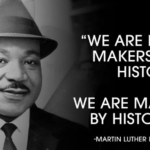 Dr. Martin Luther King, Jr., and to join together on Martin Luther King Day, in solemn recollection of his significant contributions for enhancing human rights throughout our nation and throughout the world. — Wednesday, January 23, 2002, Congressional record, HON. BENJAMIN A. GILMAN of New York in the House of Representatives.